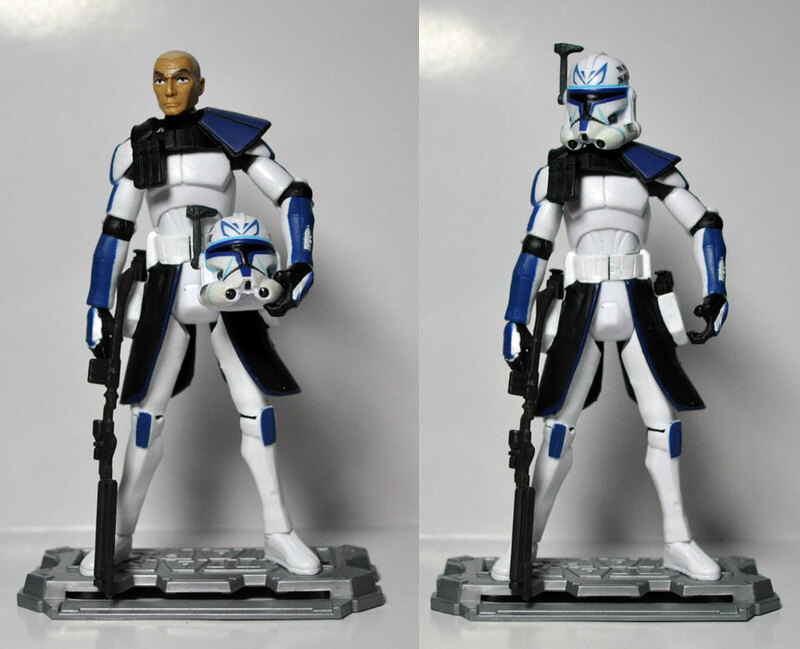 Nothing crazy here, just three different Captain Rex figures bashed together to create a fully articulated Phase II Captain Rex. I used the original Rex for the body, the head from the 2011 Jetpack Rex and the helmet and pauldron from the new 2012 Phase II Rex. 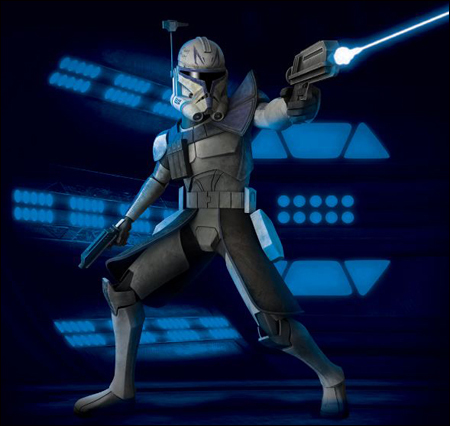 The knock on the 2012 Rex was how large the helmet looked on the figure (not to mention the lack of articulation), but when used on the old Rex, it fits to scale and looks proportionate. 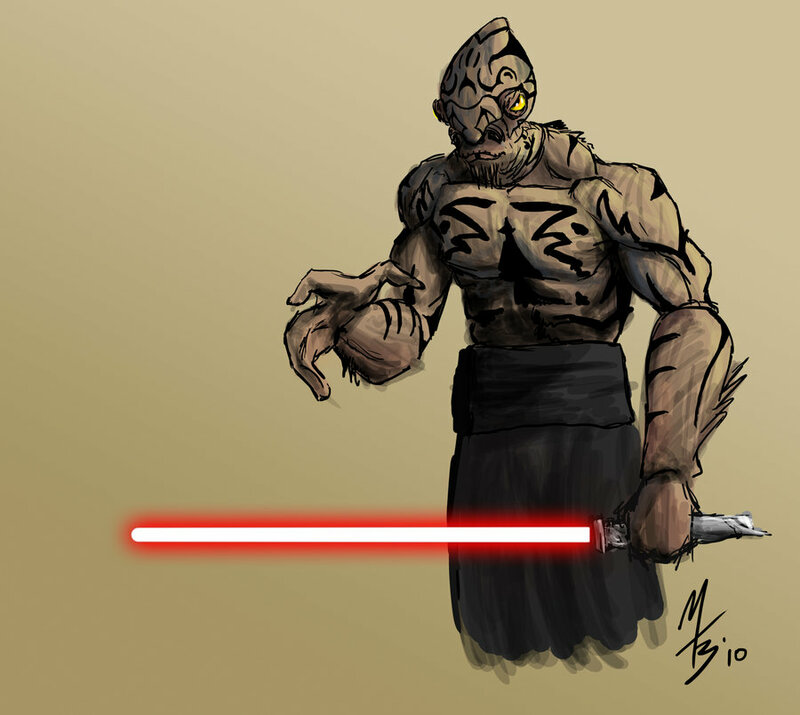 Found this awesome artwork online and thought that it would make for a really cool looking Sith character. 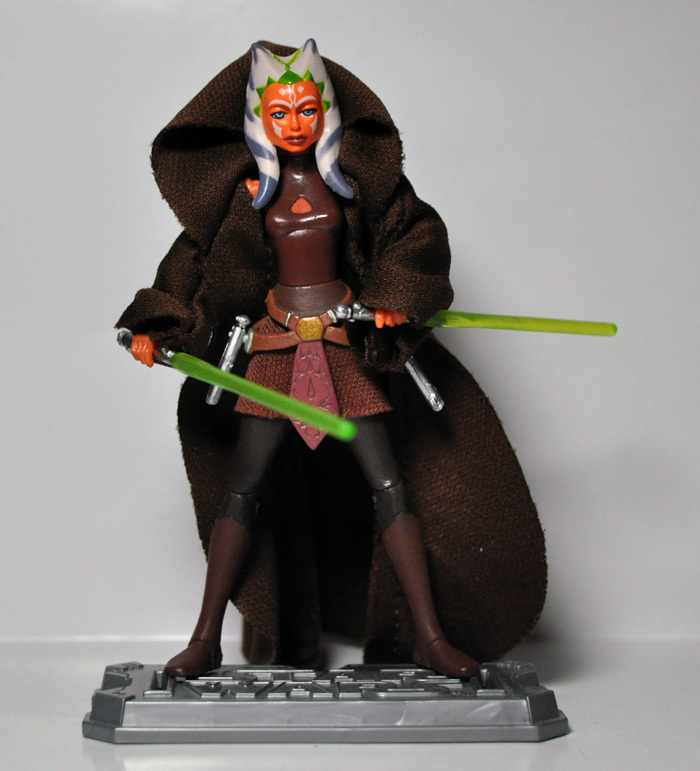 I used the head and arms from the Legacy Collection Comic Pack Ibtisam figure and the 30th Anniversary Sith Evolutions Darth Maul to make this model. 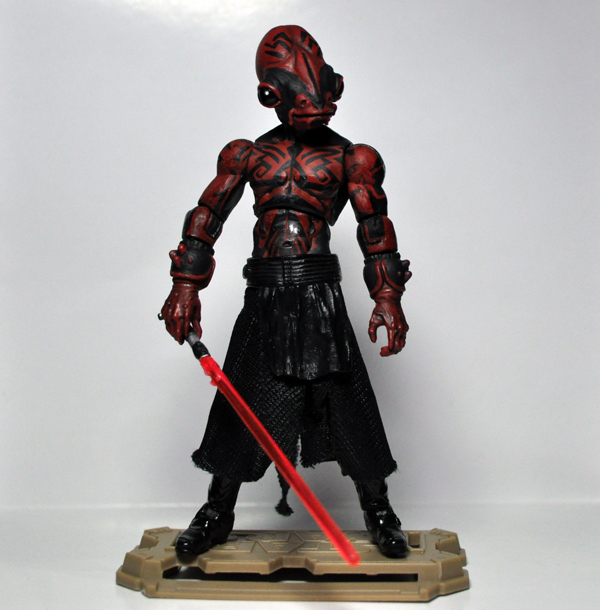 Repainted the head and forearms to match up with the tattooed Sith body and gave his eyes a high gloss almost shark look to them as to look more evil. 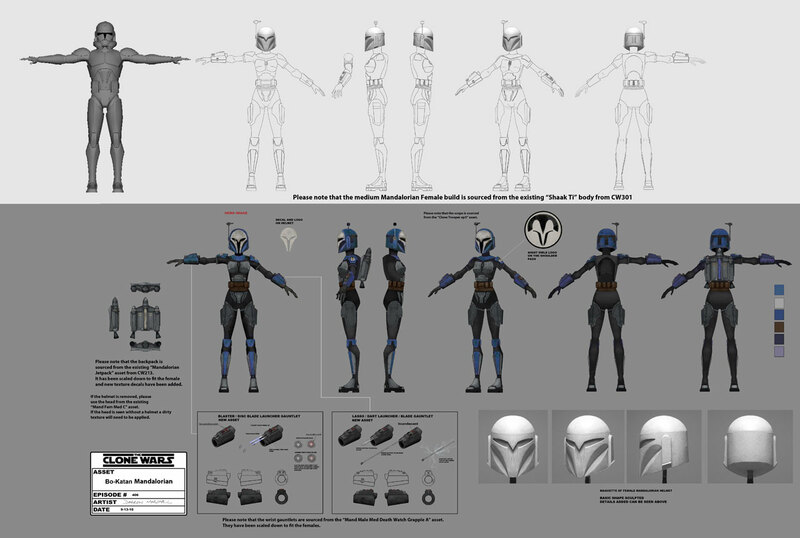 I was really happy that the 30th Anniversary Collection Isabet Reau figure’s torso complimented the CW11 Aurra Sing’s waist. Attaching her head required a little modification to her neck stump, and did need to sculpt some lower bits of armor to match up with Reau’s torso. 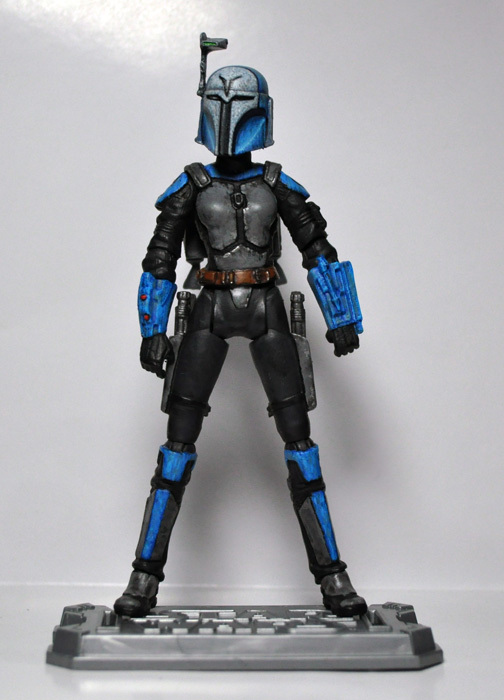 I had considered making a bare head for Katan based off of Dave Filoni’s painting of her, but thought better of it as I wanted my friend Kev’s paint job on the helmet to be the focal point of this figure. Found this concept art online from the animated TV show. 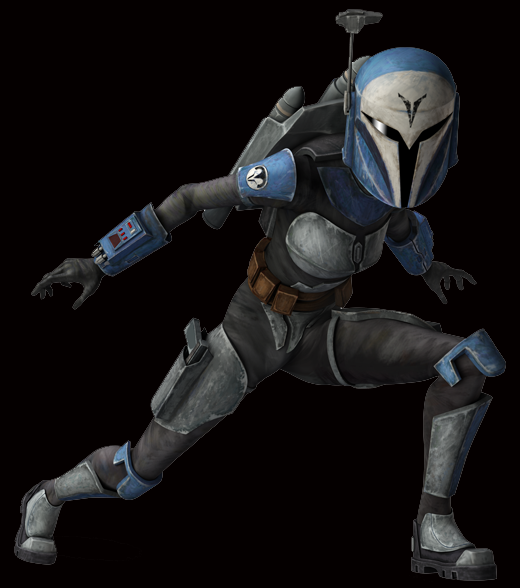 It has been useful helping me to get the colors more closely matched up, and will aid me when I attempt the shoulder armor decal. 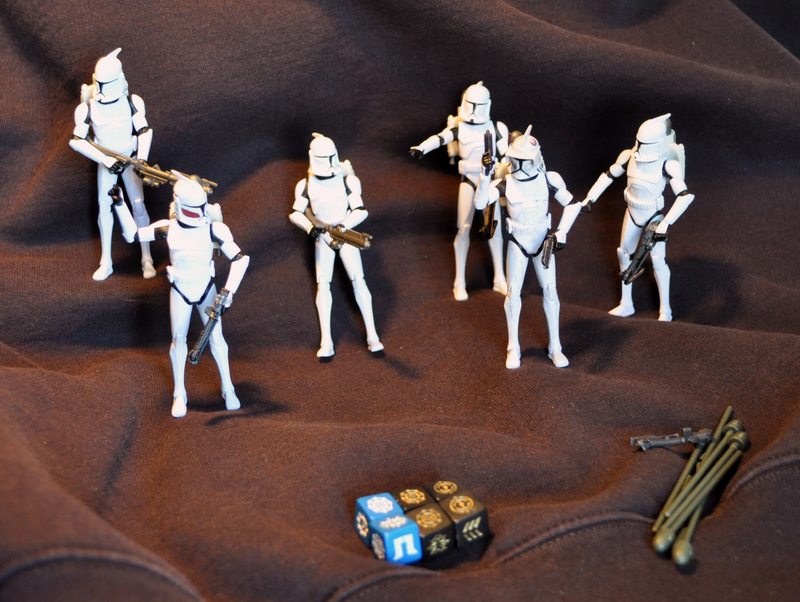 Having several leftover Phase II Clone Troopers I decided to create Phase I Troopers from their headless remains. 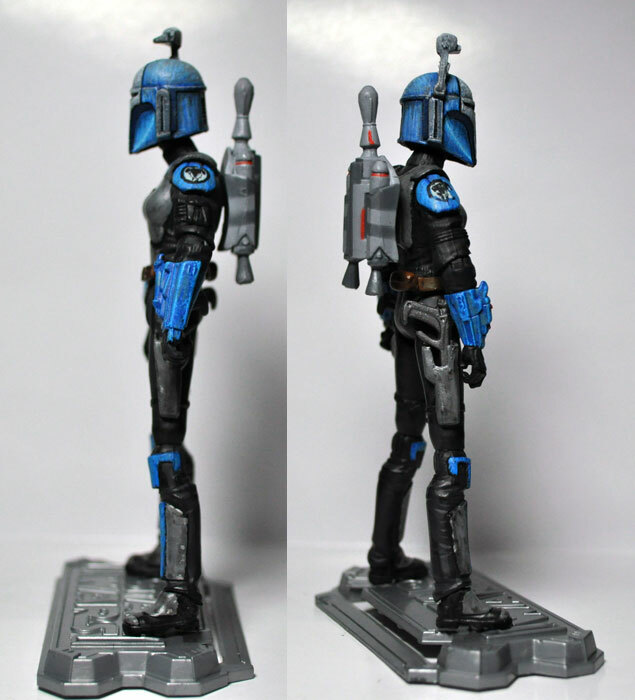 I attached the new heads via a Milliput cast inside the helmet to retain full articulation at the neck, painted red markings on the Sergeant’s helmet and dirtied up the Commander’s armor to match the attached Obi-Wan Kenobi helmet.